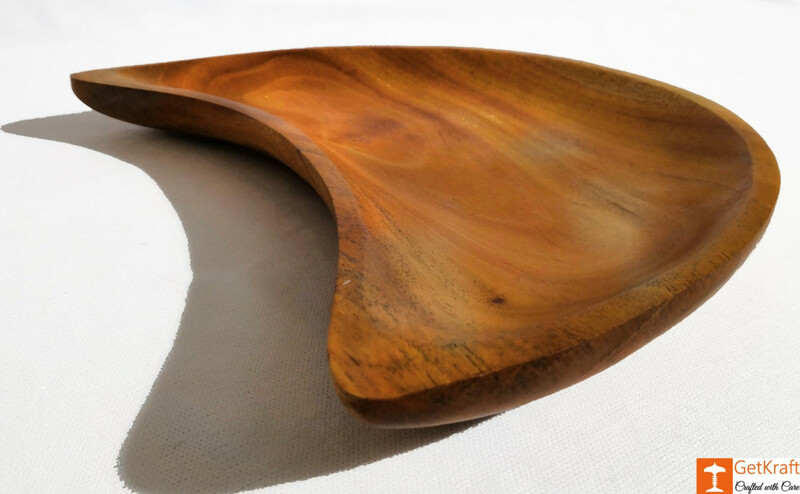 Sleek and Stylish Acacia Wooden Crescent Moon Shaped Valet Catch-all Tray 100% Handmade Natural Dish. 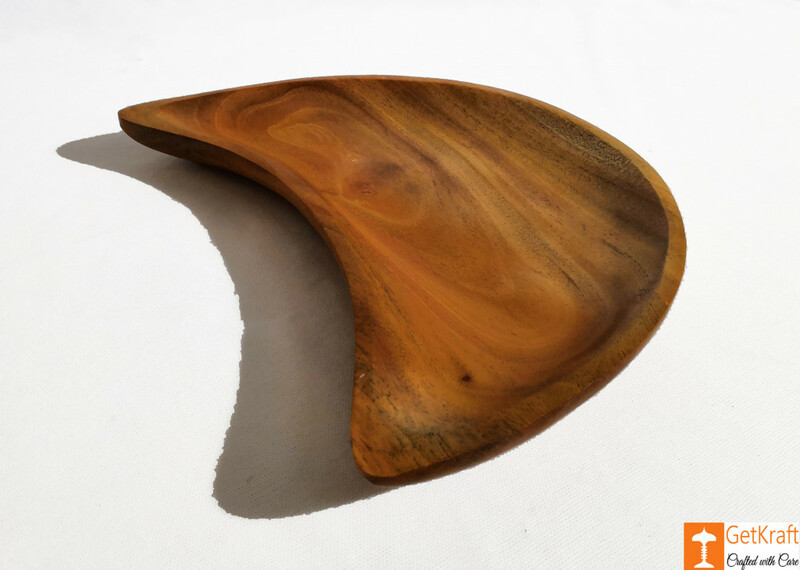 This Dish can be either used to Keep your Stuff like Keys, Chains, Rings etc or also can be used in the Kitchen for Serving Snacks, Fruits or other Condiments. 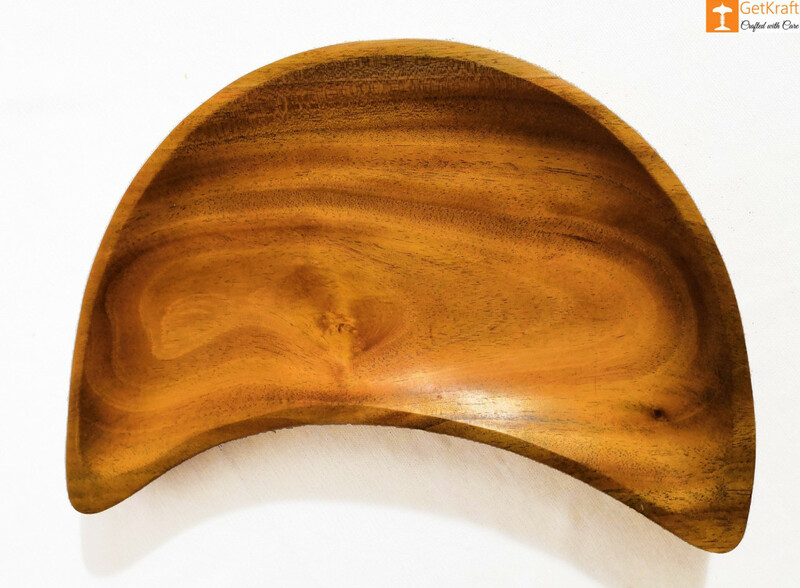 The Wood Bowl is Naturally Handmade so it may have marks/patches.